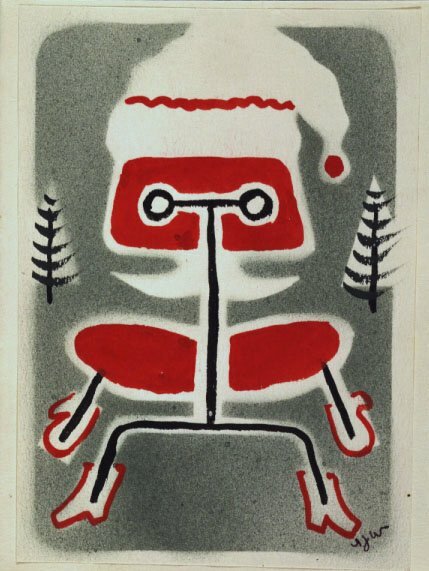 Siddie and Bob Wirth dressed an LCM as Santa Claus for their handmade christmas card sent to Charles & Ray Eames in 1948. Part of the deep and rich Eames Collection at the Library of Congress. Via the inimitable Reference Library.